They are not "conservatives." They are right-wing radical authoritarian plutocracy-loving extremists. The textbook definition of conservative defines a person who is cautious about change in regards to tradition and politics. Does undoing the government and turning it into a cash cow for multinational corporations fall into "conservative?" Does the systematic introduction of religious mythology into school textbooks count as "conservative?" Does undoing years of social safety nets such as social security and medicare fall under "conservative?" Does unilateral invasions of other countries to "take their oil" count as "conservative?" Does liquidation of our sovereignty as a nation and allowing multinationals to write our laws count as "conservative?" I think you all get the idea. Try as I might, I can't find anything to disagree with. I get what you're saying, RitaAnn. But I do call them conservatives, because they are right in line with the history of much of American conservatism. Especially American conservatism post-Nixon/Carter 70s, which is really just post-Civil Rights and antiwar protest 60s. 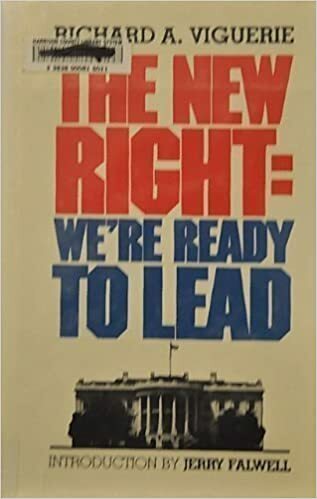 So you get the Reagan Democrats, the Dixiecrats-gone-Republicans led by totalitarians like Strom Thurmond, and the rest of the clowncar Weyrich and Viguerie called "the New Right". All of the above imo yes is definitely mainstream American conservatism at this point. I have this book, which I snagged from my father's theology library. I have been recommending for years. To me, it's not a mistake of history that Weyrich became one of the main cheerleaders of the Tea Party, which further solidified these disparate groups' common interests. And Jerry Falwell, Jr. is now heading up donald trump's "higher education task force," whatever the hell that is. In a lot of ways, these people have accomplished their goals because they were in it for the cause of long-term. Some days I wonder if liberals and the left have any idea what this is, anymore. We used to. If conservatism refers to the past ideal of "Leave it to Beaver" (the tv show, not...) separate schools, lunch counters, water fountains and neighborhoods for whites and blacks, women stayed home while the man brought home the bacon (I used to ask my father where the bacon was when he came home from work), and mentioning pregnancy in public was taboo, then yes, they are conservative. But today's republicans are more about tearing down our institutions and replacing them with capitalism without oversight and the religious authoritarianism found in the likes of Rushdoony. I viewed conservatism as a need to maintain the status quo and fear of change. But in regards to the political sphere, you may be right.